Empire Medical Training and The American Academy of Procedural Medicine (AAOPM) are the largest, combined trainers to physicians in procedural techniques throughout the US since 1998. In response to our healthcare system, declining reimbursements, and the uncertainty of Medicare, Physicians continue to search for new opportunities and revenue streams to replace their insurance based practice- It is this group of individuals who comprise our target audience. Most of us realize at this stage how rapidly the Aesthetics and Anti-Aging market has exploded. 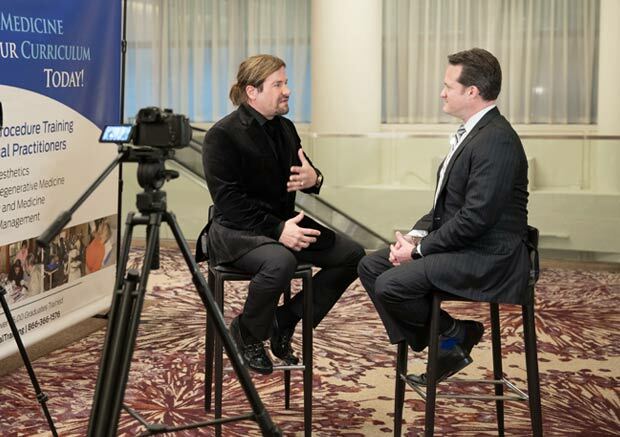 We know it is vast and growing at astonishing rates; physicians will continue to integrate Aesthetics, Anti-Aging, and other new areas of medicine as an effective means to sustain their practice and lifestyle. 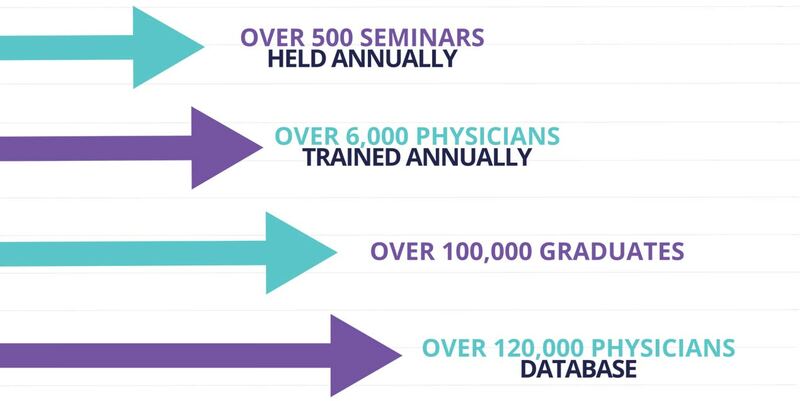 Over 6,000 physicians each year flock to Empire courses to learn techniques that will help them grow their practices, while earning valuable AMA Credits. One main difference when comparing an Empire event to other industry shows and conventions is that all attendees to Empire events have already done their preliminary research and are past the initial information gatherings stage typically performed while at conventions. 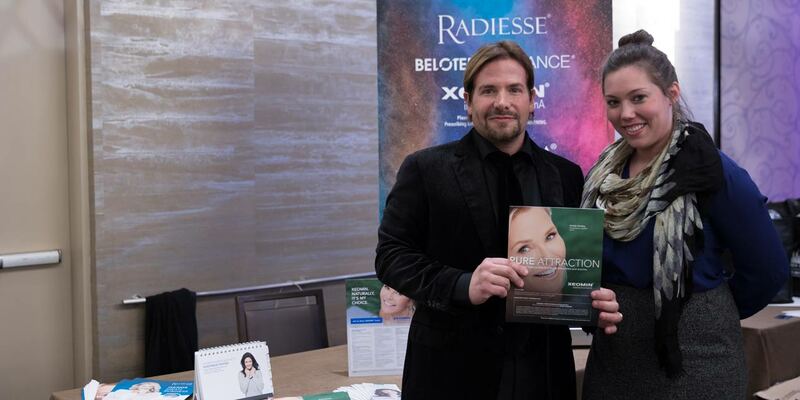 They have made a significant investment and are determined to integrate Aesthetics, Anti-Aging and Regenerative Medicine into their practices. All the Empire courses involve procedures and new areas of medicine that are either cash-based or offer significant opportunity for the practitioner to rapidly grow their practice. Most programs are fully accredited providing AMA PRA Category 1 CME Credits™. With our membership model, Empire attracts thousands of physicians each year since they can attend multiple courses for one price. Now physicians can learn new cash procedures while earning category 1 CME credits. Most of our attendees are Primary Care Physicians such as Family Practice, General Practice, Internal Medicine, Gynecology, Surgery, Emergency Medicine, but we also see physicians of varying specialties because even this group is being affected by the new changes in health care. Empire Offers a comprehensive marketing strategy for Vendor Partners – What makes our Vendor partnership so successful is not only the result of our live events but also how we introduce your product line to our clients throughout the year. - Vendor-Partner Program – Empire utilizes a dedicated platform on our website to join vendors and physician buyers in one place. Physicians can purchase your products directly from the site and are incentivized to do so with special vendor promotions. This platform serves as a “mini website” for each vendor partner with a shopping cart and many other features such as live auctioning and email marketing. With over 100,000 unique visitors to the website every month, what better way to increase your direct sales from our members? You will populate your own site with information and imagery, and “buy now” links. Vendors have access to many useful features that will help with the follow-up and to close a sale to prospective customers. - Exhibit in Person at Live Events – Nothing is more effective than one-on-one meeting with a prospective new client. You will find our attendees have already made the decision to integrate Aesthetics or other new modality and are ready to integrate many of our vendor products as well. Unlike the typical convention, Empire programs are attended by Practitioners who are past the initial information gathering stage typically performed at conventions. 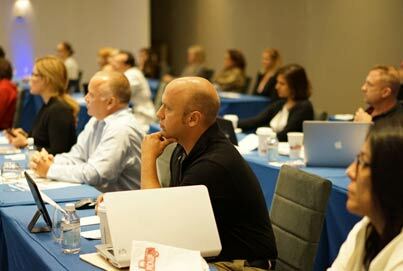 Empire provides programs every week throughout the entire US with attendances from 40 to 160 physicians per seminar. Advertising at live events will reach over 6,000 physicians trained annually from all programs. You may select to only participate in the larger, live events. - Virtual Exhibit at Live Events – With over 500 live events each year you are guaranteed to reach thousands of physicians and practitioners who are ready to utilize your products and services. The best part is that you do not have to attend all live events to reach our Physicians. The level of support we provide our Vendor partners allows you to have a table/booth at any or all events along with your promotional material and our Empire support staff will introduce your product and distribute your materials. Vendor will send their pull-up banner display as well as brochures, print materials, and anything else the vendor wishes to distribute to the attendee. In addition, vendor may provide a monitor display with a video loop describing their product or service. - Presentations to Live Audience – Vendor partners (depending on sponsorship) may lecture and present Power Point directly to our physician audience. A 20-minute presentation of this nature is extremely effective. - Lunch, Breakfast, or Dinner Sponsorships – Opportunity to speak with physician audience over lunch, breakfast, or dinner. This is a great way to gather a large audience in one place while they recognize your generosity by sponsoring this break session. - Vendor Resource Directory Guide – Our most valuable tool for Vendors to be seen by Physicians. The Vendor Resource Director Guide is a glossy magazine that is distributed to each and every attendee as part of their training materials. Practitioners use the magazine to locate vendors who will help supply them with products and services they will need for the newly learned specialty they are integrating. Our Vendor Guide is also published on our website for physicians to access. Full and Half Page Vendor Ads are available. - MedSurge Advocate Full Color 70 Page Magazine – Advertise within company magazine. Full page and half-page display ads available, with or without associated article. Separate from the Vendor Resource Guide, most effective when both magazines combined. - Pre/Post Conference Email Blasts – E-Blasts performed prior to and after a live event featuring vendor product line or service. Email blasts reach over 120,000 physicians per blast. - Lead Retrieval System – System to acquire new client leads and complete contact information. Vendor also receives electronic list of all attendee from each event, even those not attended. 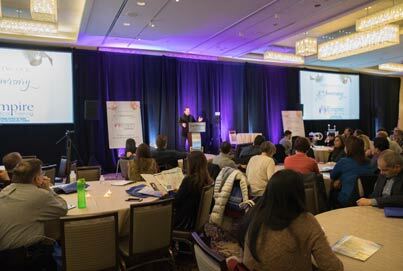 - Vendor Corporate Banners Displayed at Over 500 Seminar Events – Vendor banners or a poster sized display announcing your level of sponsorship, created by Empire, displayed at ALL CME events (over 500 per year). - Webinar Presentations – Hosted and organized by Empire Medical Training. Vendor may deliver 30-minute webinar on educational topics related to their product line. Webinar may be recorded or hosted as “live” event. 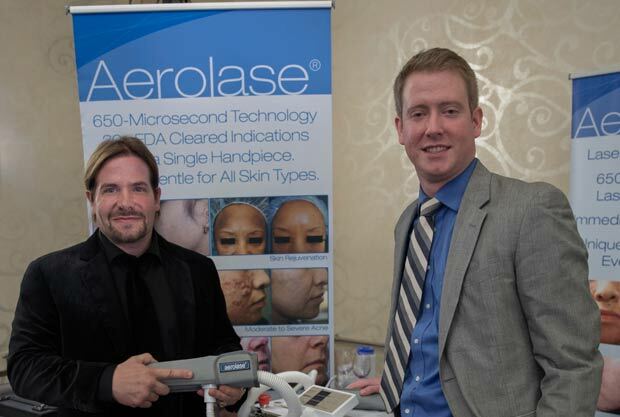 Our attendees are established Physicians and practitioners who have invested their time and money to learn a new specialty service such as Aesthetics. 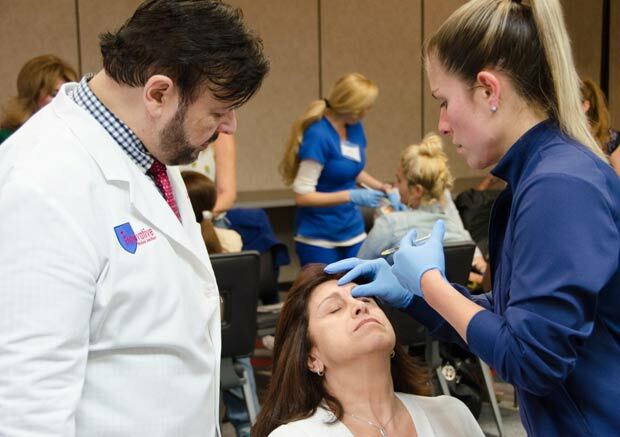 These practitioners, unlike those attending traditional conventions and aesthetic shows, are well beyond the information gathering stage and are ready to integrate their new specialty service into their practice. The opportunity exists for our Vendor partners to reach our Physician audience with their full product and/or service line. It is at our workshops where our Physicians have completed their training and are in need of the products and services that our Vendor partners provide. Empire/AAOPM and faculty support our Vendors by educating our participants into the various product lines and the associated benefits. We are able to accomplish this very effectively by utilizing a host of marketing resources, such as our 120,000 physicians’ database to the ongoing and direct contact that we have with our physician client directly. Our programs are held toward the end of the week and over a weekend to best help accommodate our attendees. 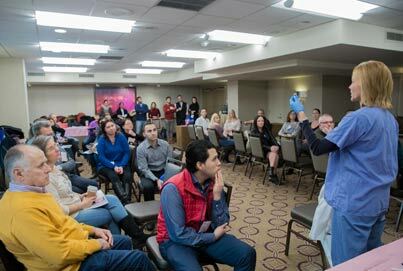 On a typical Saturday, we provide 3 different classes running at the same time and this affords our vendor partner the opportunity to address a larger group of doctors at one time and at one location. Typical group sizes during training range from 40-160 attendees, just about every weekend. Vendors may specifically choose to participate in all programs or only those limited to attendances greater than 150 participants.